Nallakunta, located close to Hyderabad, has come into the radar of investors in the last few years. With a number of real-estate projects coming up in the region, it has emerged as one of the most important residential housing zones in Hyderabad. Investors and homeowners are keen in investing in the property in Nallakunta Hyderabad, as it has an optimum location, close enough to the commercial areas and other important places. The developers have come up with sophisticated residential complexes, with all the amenities you would expect for a comfortable life. Well, the infrastructure projects around the area have led to the rise in the price of the property in this region. The roadways, security facilities and transportation facilities in the area have been leveraged in the last few years. With hundreds of families moving to Hyderabad for a better living quality, the prices are likely to rise further. 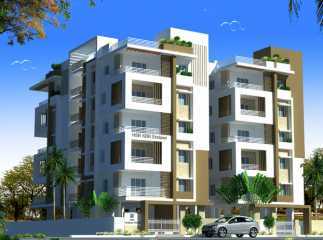 If you are planning to invest in the properties in Nallakunta Hyderabad, this is the best time for you. Residents moving to the apartments in Nallakunta enjoy a seamless connectivity to the commercial areas. The bus services run by Telangana State Road Transport Corporation (TSRTC) establish a good connectivity to the important areas close to the region. Hyderabad is also emerging as an important IT hub in the country. A large number of blue-chip companies are coming up in the area. The employment potential of Hyderabad is huge. Traditionally, the city attracted merchants from all around the country. With the emergence of Hyderabad as an IT hub, following Bengaluru, people are migrating to the city in hundreds. Well, when you move to the apartments in Hyderabad, you will enjoy the refined social infrastructure in the region. A large number of multiplexes and shopping malls are located close to the residential complexes. Apart from this, you will also enjoy the proximity to a number of educational institutes and hospitals in the area. The University of Hyderabad is known for its high quality of educational infrastructure. Besides, you can get fast connectivity to the schools in the area. These include St. Hannah’s High School, Gitanjali School, Howard Public School, Oxford Grammar School, Hyderabad Baptist School, Mount Litera Zee School, and Vasavi Public School. The hospitals close to the region include Woodlands Hospital, LV Prasad Eye Hospital, Bristlecone Hospitals, Life Spring Maternity Hospital, Sai Krishna Neuro Hospital, and Guru Nanak Care Hospitals. The spacious interiors and sophisticated living amenities in the apartments will simply mesmerise you. If you are inclined towards green living, you will find the ideal facilities here. The residential complexes, with 2, 3 and 4 BHK apartments remain under tight security, and CCTV coverage 24/7. Residents moving to the apartments in the residential complexes enjoy uninterrupted power and water supply. Besides, you will get a large number of amenities in the estates, ranging from club houses, sports facilities to fitness zones. For investors and homebuyers willing to acquire flats in Nallakunta Hyderabad, this is the best time to invest. You will get easy access to the commercial areas when you move here. Besides, residents will enjoy the cosy apartments amid the green zones, while you reside close to the city.